The object is part of the implementation of the Project ‘Integrated system for urban transport of the city of Rousse – 2nd stage’, investment priority ‘Promoting low-carbon strategies for all types of territories, in particular for urban areas, including the promotion of sustainable multimodal city mobility and adequate climate change mitigation and adaptation measures’, funded by Operational Program ‘Regions in Growth’ 2014 - 2020. 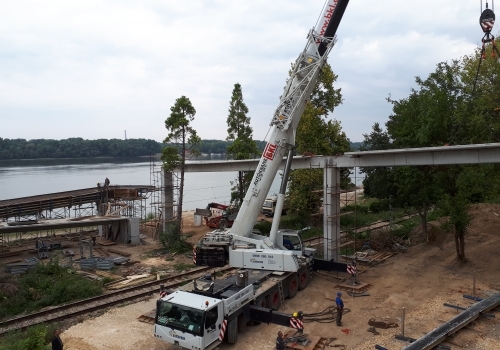 The envisaged construction and installation works include the reconstruction of Pridunavski Boulevard and the rehabilitation of three footbridges. 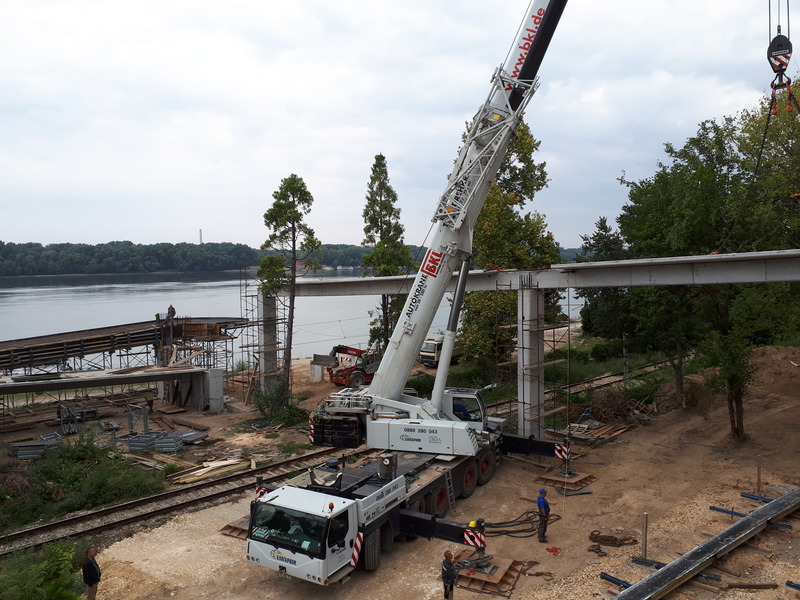 The boulevard profile will be 7 meters – two two-way traffic lanes of 3.5 meters each, the envisaged extension being in the direction of the Danube River. The adjacent sidewalks will be 3 meters each, respectively. The reconstruction starts from the junction of Rayko Daskalov Street, which is shaped as a roundabout. Near the High School of Clothing, the two lanes are separated. 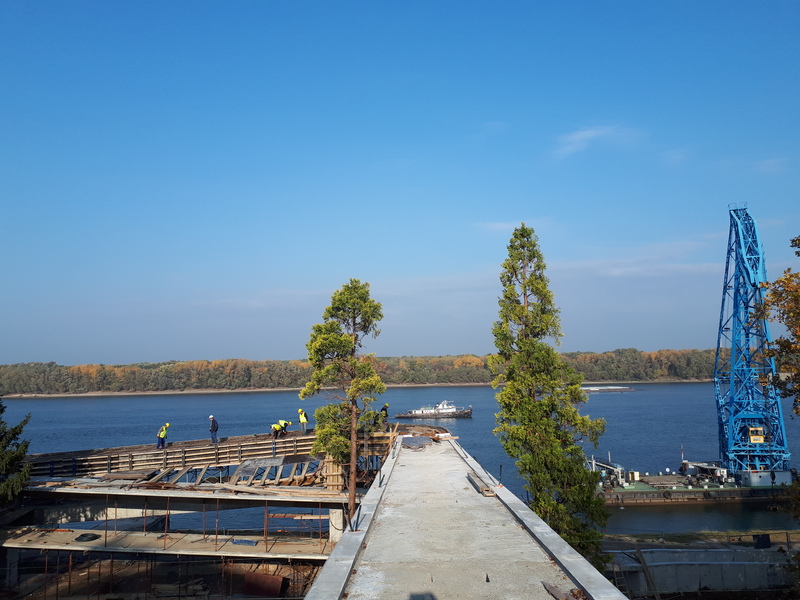 In the direction of Rechna Station, a new lane is constructed, which goes down the sloping terrain and is included in the roundabout of Slavyanski Boulevard in front of the building of the Port Complex. In the area of the streets Batak and Luben Karavelov there are pockets for stops of the public transport. The connection between the boulevard and the park environment of the quay is realized through three footbridges. Due to the new geometry of the road, the footbridge in front of the High School of Clothing is demolished. The new footbridge is built approximately with the same situational solution of the old one. The footbridge is a reinforced-concrete structure – slab, beams and supporting columns. It is considerably longer than the old one. This is required by the current regulations - for an accessible environment and the possibility for cyclists to use it. The slopes are respectively 3 % in the section from its beginning to the crossing of the railway line. Then it is two-storey with the same elliptical spiral floors, which have equal platforms in the rounded sections and the slope is 6 % in the straight sections. The exit is in the east direction with a slope of 5 %. A safety railing and lighting are provided as required. The footbridge at Baba Tonka Street is brought in compliance with the European and national standards in terms of construction. After the constructive investigation, the parameters of the reconstruction are determined. The flooring is replaced entirely with stamped concrete. New railings and lighting fixtures are installed. The footbridge at Omurtag Street are renovated. New railings and lighting fixtures are installed. Panoramic platforms are built on both footbridges. The implementation of the project will contribute to creating more efficient, faster, ecological and intelligent public transport, with less energy consumption and better opportunities for alternative modes of transport. improving transport safety in the city of Rousse.